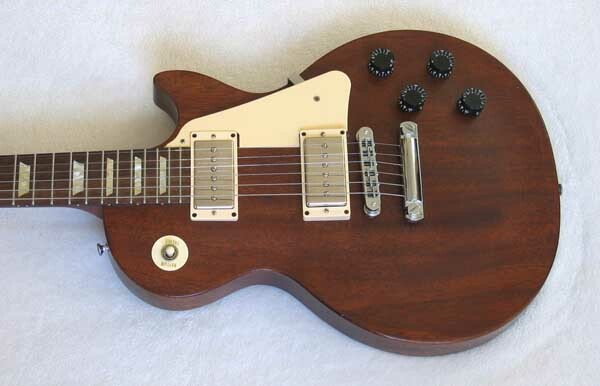 Up for consideration is a 2005 Gibson Les Paul Studio Vintage Mahogany electric guitar with Worn Brown finish, upgraded with Seymour Duncan SPH90 Phat Cat P90 pickups. This combination evens out the rather darkish LP Mahogany guitar with some single-coil sparkle, for a great all-around guitar. 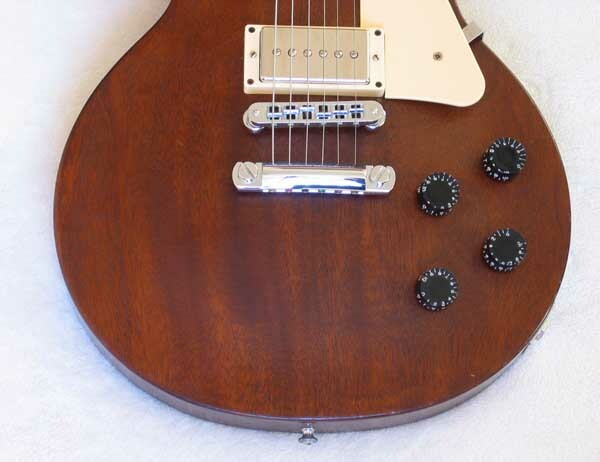 New, these LP Studios are now selling for $1,599 each, so here is a great opportunity to pick up an upgraded Vintage Mahogany / Worn Brown one in very good condition condition, and save about $850!!! [ 1 | 2 | 3 | 4 | 5 | 6 ]. 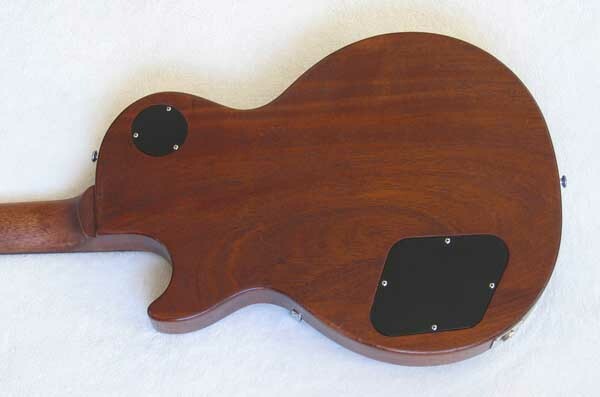 The Les Paul Studio Vintage Mahogany is by nature a rather dark guitar from the dense solid mahogany body + top. The upgraded Seymour Duncan P90 pickups smooth out the tone, and give it more definition and focus. 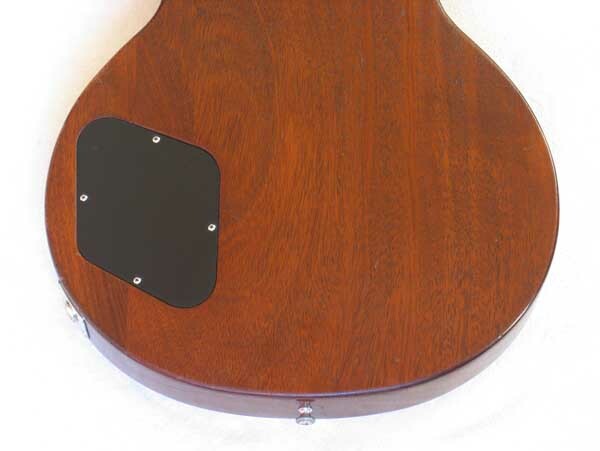 The neck pickup still gives you plenty of bass, and gives your sound a warmth and glow that seems just right. 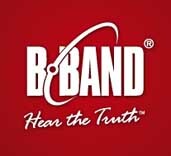 In the bridge position, the bite of the single coil is more present, yet still very controlled, creating a great all-around guitar that can easily handle a variety of playing styles. 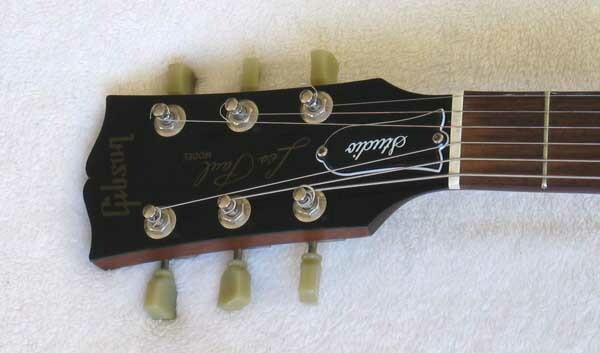 The guitar is in good condition overall with some dings and scratches from regular studio use. 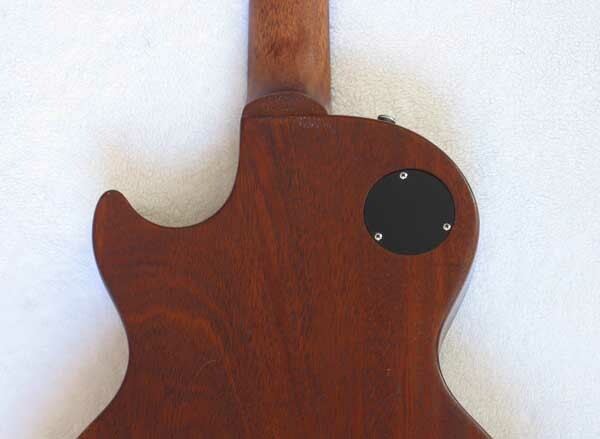 The previous owner had the finish on the neck buffed down to the wood for a more natural playing feel, and has been replaced with a natural tung oil finish. 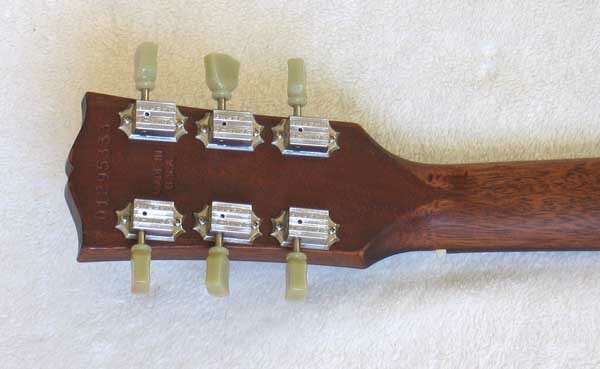 The neck is very smooth and easy to play with no dings or repairs, but was a choice based on personal preference based on the feel of playing the guitar, as the natural oil finish feels more like playing a 1960s vintage guitar, which is what he was used to, and wanted to match. USA shipping is $40.00 via FedEx Ground, with tracking, Insurance and Signature Confirmation. Satisfaction Guaranteed, with a 3-day return, buyer pays shipping, so please ask questions first. 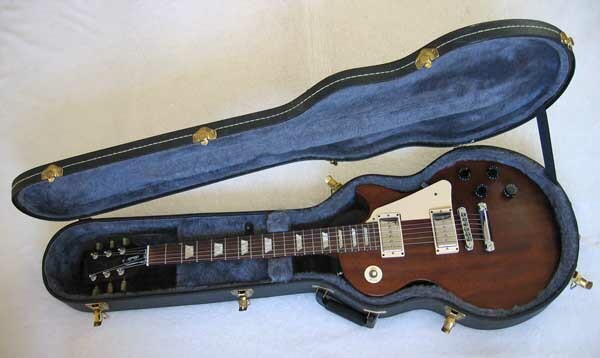 This auction is for a Gibson Les Paul Studio / Vintage Mahogany / Worn Brown electric guitar and Epiphone case. No other accessories are included. 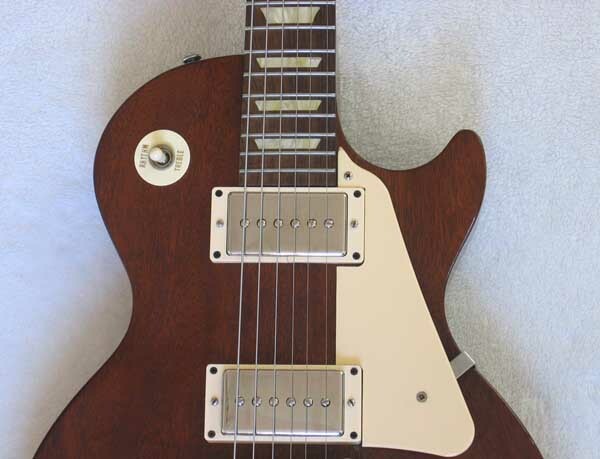 PLEASE CHECK OUT my other Les Paul Guitars and pro audio gear and Classical Harp Guitars for sale in Current eBay Auctions, and check out some of my vintage Gibson and PRS guitars that have Recently Sold on eBay.